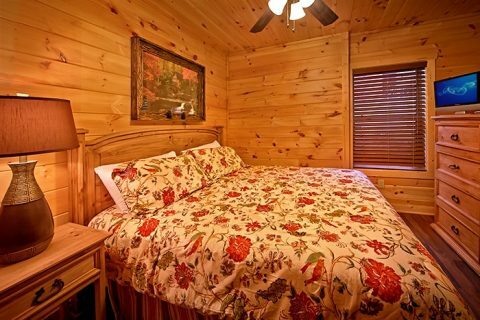 "Snuggled Inn," a 2-bedroom cabin in Pigeon Forge with swimming pool access, accommodates up to 6 guests visiting the Tennessee Great Smoky Mountains for a mountain retreat. 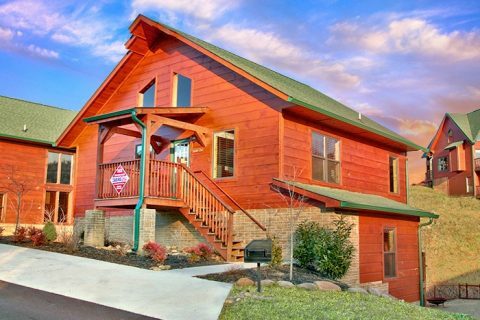 This cabin rental near Dollywood places guests less than a mile off the action packed Parkway, where your family will discover the excitement of some of the Smokies biggest attractions in Pigeon Forge and Gatlinburg with ease. 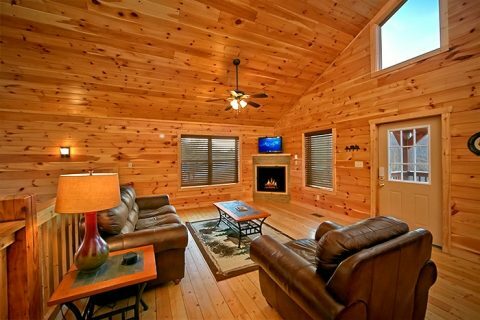 Enjoy all the comforts of home and more in this cabin rental near Gatlinburg with such amenities as free WiFi Internet, 2 fireplaces, a pool table, hot tub on a covered deck, charcoal grill, fully equipped kitchen, washer-dryer and more. 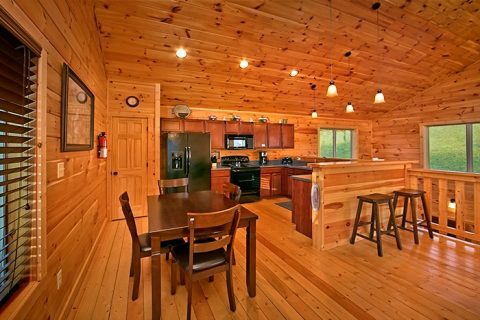 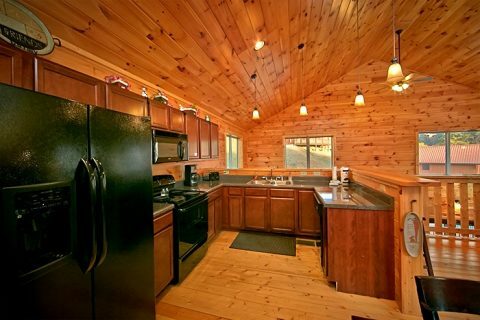 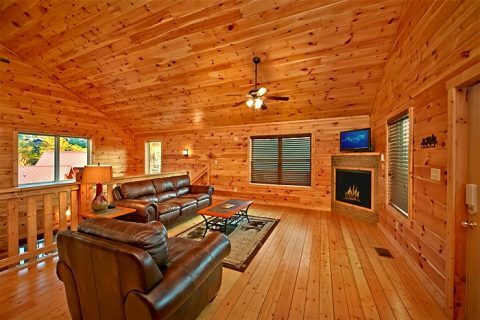 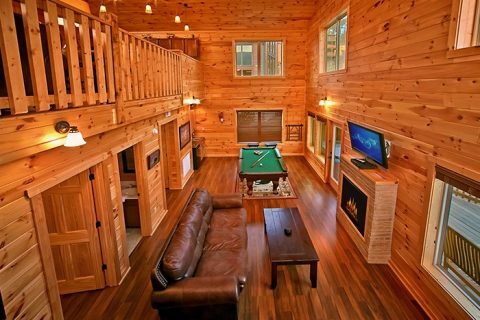 With an elegantly decorated loft main floor and a spacious den/game room area, this cabin affords guests a beautiful living space to enjoy each other's company. 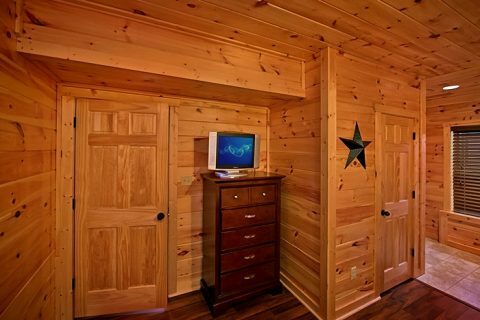 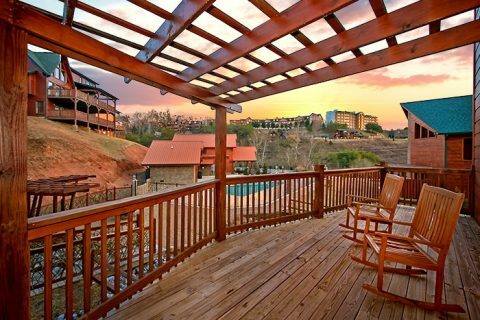 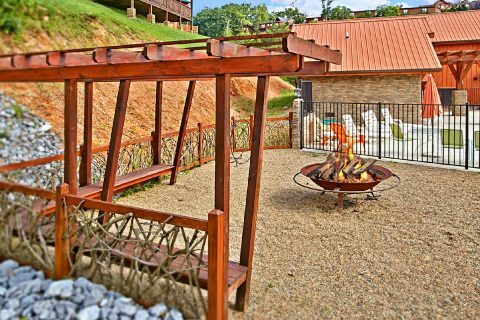 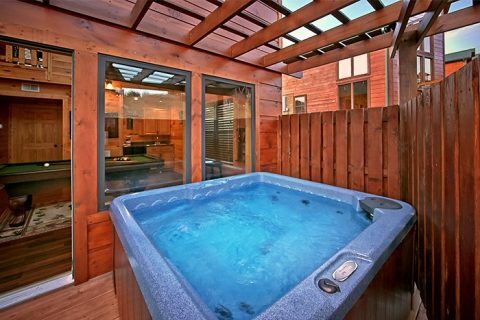 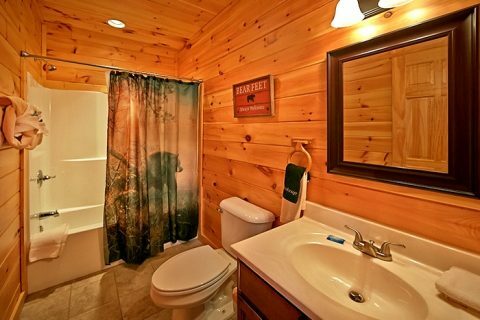 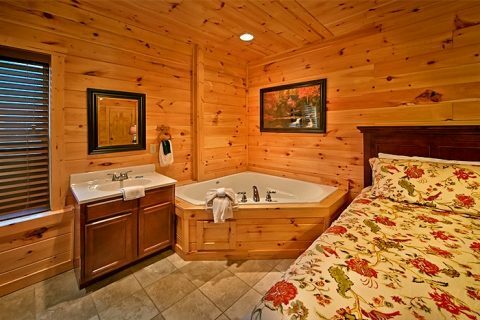 Enjoy the relaxation afforded by this cabin rental near Dollywood's luxurious bedrooms with expansive king-size beds and private bathrooms. 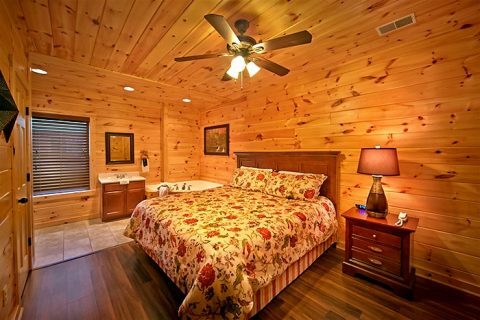 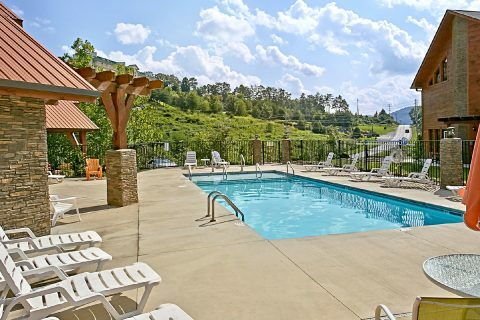 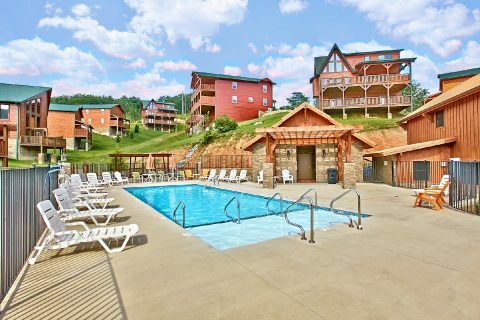 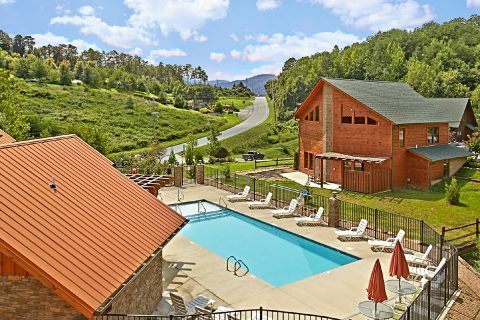 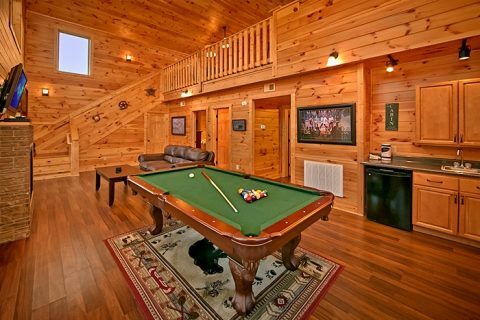 Book this cabin in Pigeon Forge with swimming pool access online with Cabins USA for an immediate Online Cabin Special and the opportunity to experience one of the most memorable family vacations in the Tennessee Smoky Mountains!